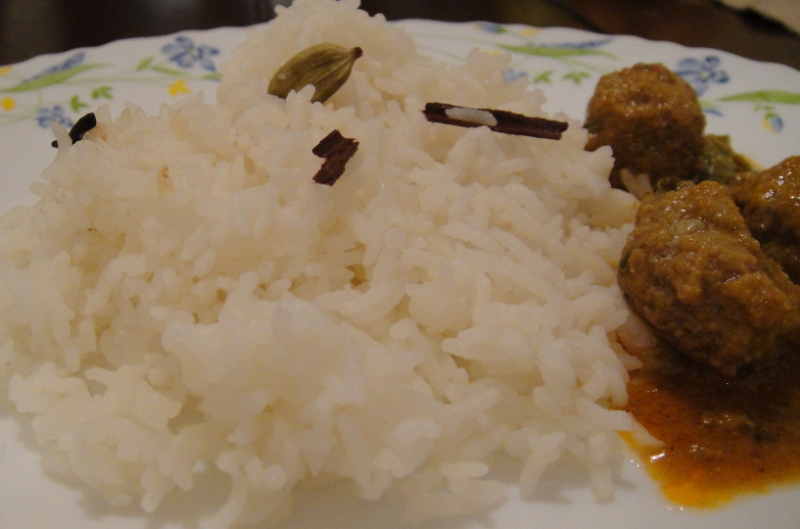 this rice is so easy with a minimal of ingredients..yet so tasty.a variety my mother in law cooked for special occasions and served with meat ball curry...and a favourite of my hubby dear!! add the water and the coconut milk together. add the spices and the salt and turmeric to rice. pour in the milk and water and cook till rice is done. serve hot with gravies of ur choice.